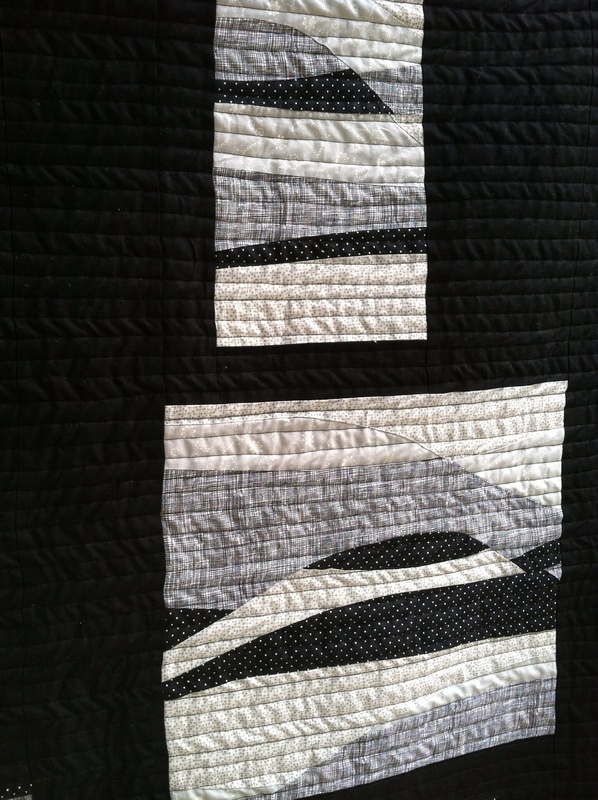 I just finished the quilt with curved piecing I learned from Dan at Piece and Press. I named it Twilight because it’s a little on “the dark side”. 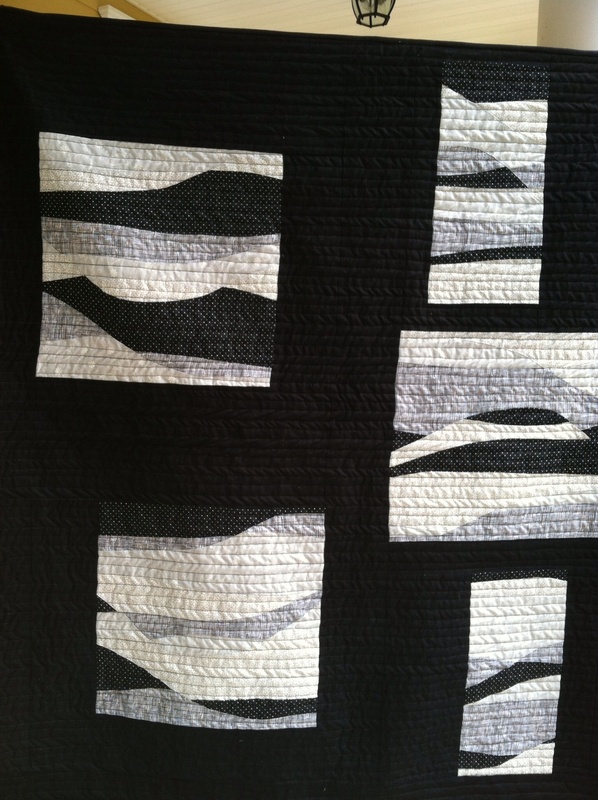 This entry was posted in Uncategorized and tagged Curved Piecing, Modern Quilting, Quilting. Bookmark the permalink. Beautiful. You’re going to let us see it up close & personal sometime soon, right? Yes, I’ll bring it next time. Wow. This quilt is fabulous. I love your colour choices and the curves are gorgeous. I like it….gotta teach me how to do it! I’ll be glad to, it’s not very difficult. That’s really pretty, Diane. You are prolific! Heard you are coming to camp in June!!!! Can’t wait to see you. Thanks, I’m excited about coming. Can’t wait to see all of you!